Uxbridge is a township in south-central Ontario. With over 220km of managed trails on over 8,000 acres of protected green space. Uxbridge is known as The Trail Capital of Canada. The first settlers in the area were Quakers who started arriving in 1806 from the Catawissa area of Pennsylvania. The community’s oldest building, the Uxbridge Friends Meeting House, was built in 1820 and overlooks the town from Quaker Hill, a kilometre to the west. A mixture of independent shops and places to eat and drink during the day and evening are spread throughout the town centre, a warm welcome awaits you! 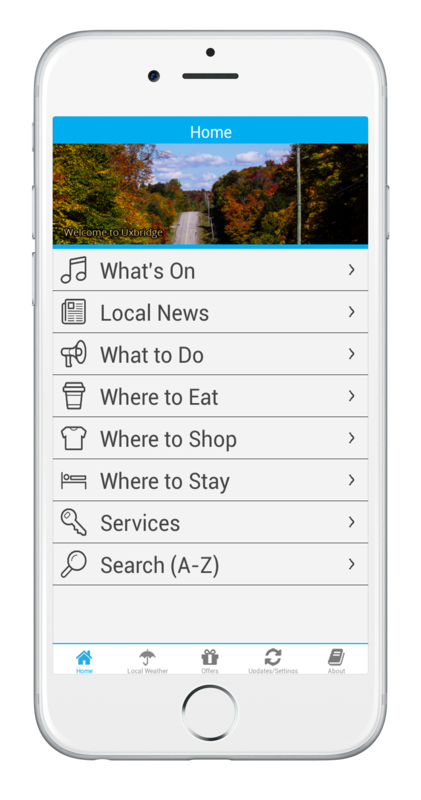 This app will help you make the most of Uxbridge. 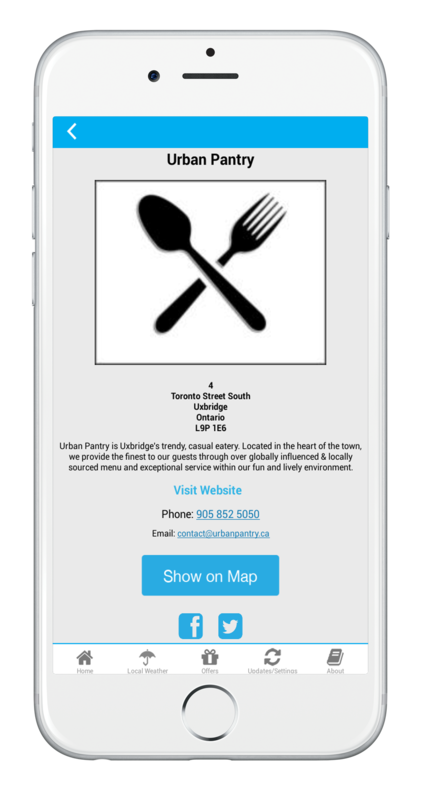 Brought to you by our Partners Trail Blazer Creative the Uxbridge App is available to download for free on iOS and Android. Browse the local news feed and stay up-to-date with what’s happening in Uxbridge. Discover things to do in Uxbridge with ‘What’s On’ local events. 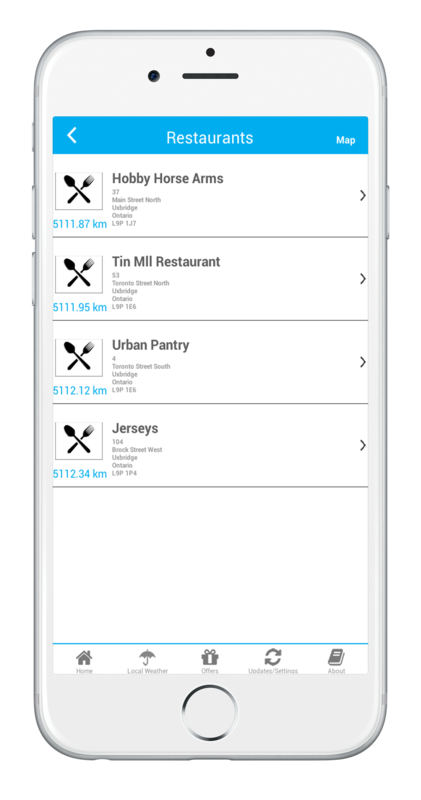 Search for restaurants, shops, services and local attractions. 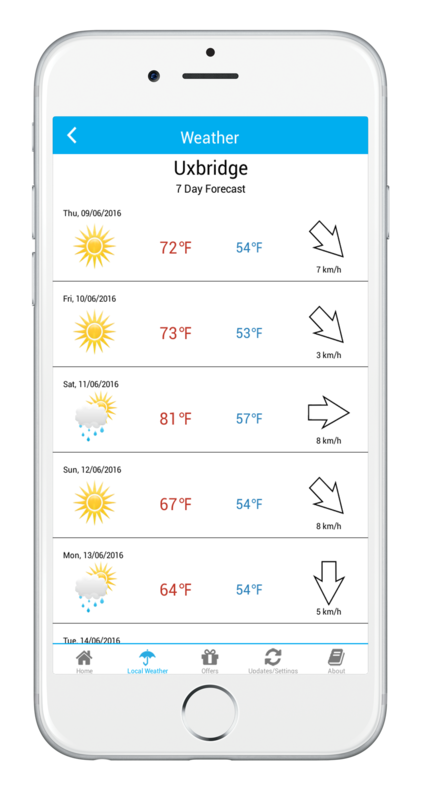 Plan your trip with a 7 day Uxbridge weather forecast. Explore what’s on in Cornwall. See what’s near you. Uncover hidden gems within Cornwall.